This perfect arrangement is breathtaking with its flowers and hues. 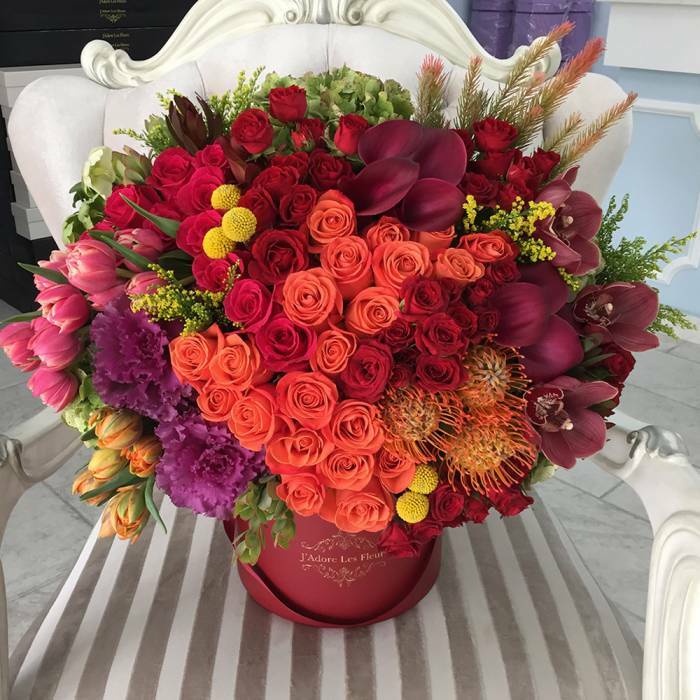 Orange roses are paired with red spray roses and are put next to bright red protea leucospermum, purple kale flower, tulips, hydrangeas, calla lilies, cymbidium orchids and the perfect fall leaves. The arrangement in the photo is in our Medium box.